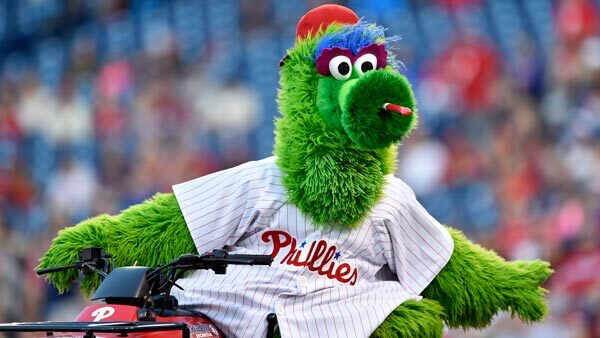 PHILADELPHIA (WPVI) -- The Philadelphia Phillies are celebrating the NFL Draft coming to Philadelphia with a special ticket offer for Eagles fans. With the Eagles having the 14th pick of the NFL Draft, the Phillies are offering $14 tickets for all fans wearing Eagles jerseys or gear. The tickets are for the Phillies games against the Miami Marlins on Tuesday, April 25, Wednesday April 26, and Thursday, April 27. Both Tuesday and Wednesday games have a 7:05 p.m. start. The game on April 27th takes place at 1:05 p.m., which would give fans enough time to attend the Phillies game and then head to the Benjamin Franklin Parkway for the first night of the NFL Draft. The $14 tickets are for seats in locations that are regularly priced $38 and under. Fans wearing Eagles jerseys or gear can redeem this special ticket offer by purchasing their tickets at any Citizens Bank Park ticket window on these game days.